"...a consummate musician, in total control at all times, with a peerless mastery of his violin." "...in a class by themselves ... [combining] the perfection, passion, and phrase-sculpting of Michael Rabin with the energy, excitement, and immediacy of Jascha Heifetz." 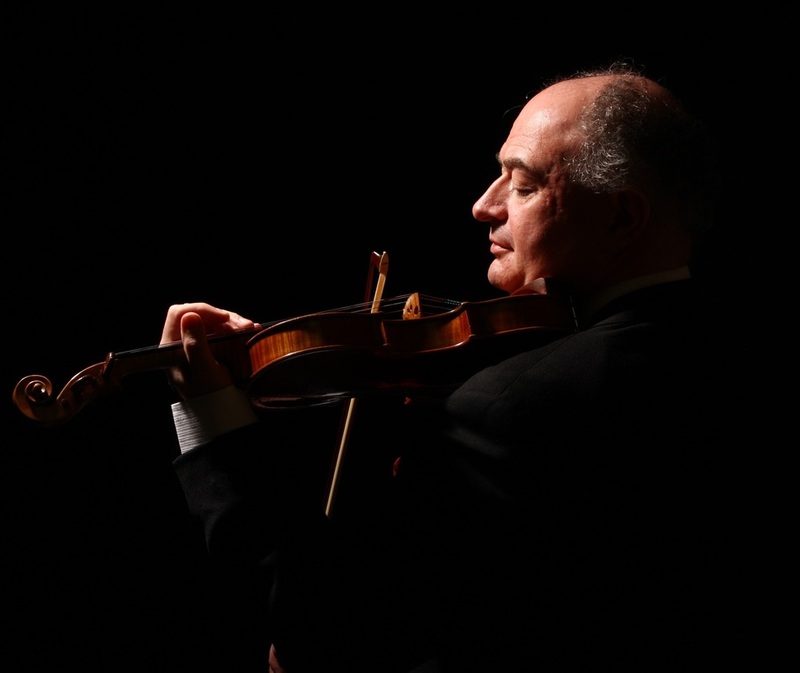 Ilya Kaler, the only violinist to win Gold Medals at three highly prestigious competitions — The International Tchaikovsky Competition (Moscow, 1986), The Sibelius (Helsinki, 1985), and the Paganini (Genoa, 1981), has received enthusiastic reviews for both his distinguished solo performances and highly acclaimed recordings, now available on Naxos label. He has performed with the Leningrad, Moscow, and Dresden Philharmonic Orchestras, the Montreal Symphony Orchestra, the Danish and Berlin Radio Orchestras, and the Moscow and Zurich Chamber Orchestras, among others. His solo recitals have taken him throughout Europe, Scandinavia, East Asia, and the former Soviet Union. In recent years, Maestro Kaler has performed with the Detroit, Baltimore, Lansing and Seattle Symphony Orchestras, and at the Kennedy Center in Washington D.C. in the United States, and has toured Germany, Ireland, Israel, Italy, Singapore, Korea, Taiwan, England, Venezuela and Japan. In Japan, he played with the New Japan Philharmonic, the Century Symphony Orchestra and the Hiroshima Symphony. Also an active chamber musician, Maestro Kaler has performed for several summers at the Newport Music Festival in Newport, Rhode Island. Maestro Kaler has been a Professor of Violin at the Eastman School of Music in Rochester, New York, Indiana University School of Music in Bloomington, Indiana, and is currently a Professor of Violin at DePaul University School of Music in Chicago, Illinois.